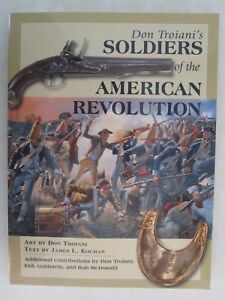 Don Troiani's Soldiers of the American Revolution Paperback Book Free Shipping! In this collection, renowned artist Don Troiani teams up with leading artifact historian James L. Kochan to present the American Revolution as it has existed only in our imaginations: in living color. 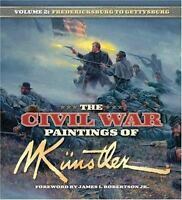 From Bunker Hill to Yorktown, from Washington to Cornwallis, from the Minute Men to the Black Watch, these pages are packed with scenes of grand action and great characters, recreated in the vivid blues and reds that defined the Revolutionary era. 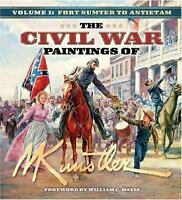 Troiani's depictions of these legendary fife-and-drum soldiers are based on firsthand accounts and, wherever possible, surviving artifacts. Scores of color photographs of these objects--many of them from private collections and seen here for the very first time--accompany the paintings. Items range from muskets and beautifully ornate swords to more unique pieces such as badges with unit insignia or patriotic slogans and Baron von Steuben's liquor chest. More than just a glimpse into a world long past, this is the closest the modern reader can get to experiencing the Revolutionary War firsthand.